This week, multiple CIRM-funded studies appeared in the news, highlighting the exciting progress our Agency is making towards funding innovative stem cell research and promoting the development of promising stem cell therapies for patients. Last week, Dr. Dan Kaufman and his team at UC San Diego, received a $5.15 million therapeutic translational research award from CIRM to advance the clinical development of a stem cell-derived immunotherapy for acute myelogenous leukemia (AML), a rare form of blood cancer. 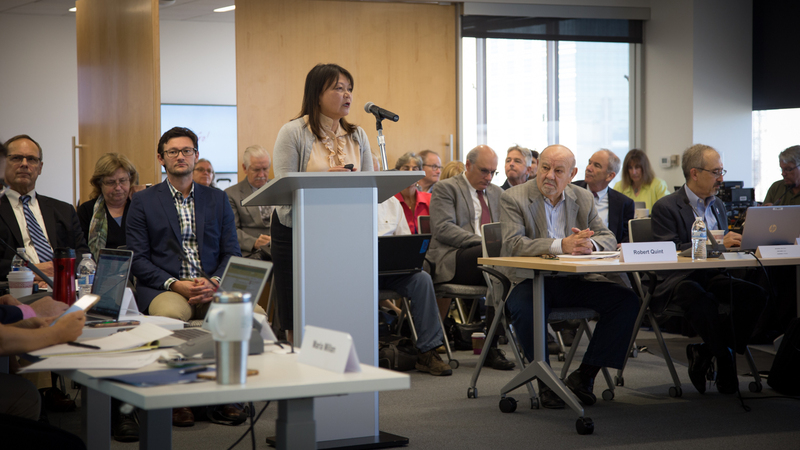 Today, it was announced that the UCSD team is entering into a research collaboration with a San Diego biopharmaceutical company Fate Therapeutics to develop a related immunotherapy for blood cancers. The therapy consists of immune cells called chimeric antigen receptor-targeted natural killer (CAR NK) cells that can target tumor cells and stop their growth. Fate Therapeutics has developed an induced pluripotent stem cell (iPSC) platform to develop and optimize CAR NK cell therapies targeting various cancers. According to an article by GenBio, this new partnership is already bearing fruit. Xconomy posted a series this week forecasting Key Clinical Data to look out for next year. Today’s part two of the series mentioned a recent CIRM-funded trial for glioblastoma, an aggressive, deadly brain cancer. Christine Brown and her team at the City of Hope are developing a CAR-T cell therapy that programs a patient’s own immune cells to specifically target and kill cancer cells, including cancer stem cells, in the brain. You can read more about this therapy and the Phase 1 trial on our website. Alex Lash, Xconomy’s National Biotech Editor, argued that good results for this trial would be a “huge step forward for CAR-T”. Last week, San Diego-based ViaCyte was awarded the “Most Innovative New Product Award” by CONNECT, a start-up accelerator focused on innovation, for its PEC-Direct product candidate. The product is a cell-based therapy that’s currently being tested in a CIRM-funded clinical trial for patients with high-risk type 1 diabetes. We think CIRM-funded clinical trials hold so much promise that it doesn’t surprise us when major news organizations publish stories about these projects that aim to provide stem cell treatments to patients with unmet medical needs. But we certainly don’t mind the attention! This past Saturday, for example, the Wall Street Journal featured two CIRM-funded clinical trials, run by ViaCyte and Caladrius, in an article covering cutting-edge research approaches to tackling type 1 diabetes. Also mentioned was Semma Therapeutics, who have a CIRM-funded pre-clinical diabetes research grant. ViaCyte is tackling diabetes with implantable devices containing stem cell-based products that release insulin on demand rather than requiring continual monitoring of blood sugar level. Image: ViaCyte. People with type 1 diabetes lack insulin, a hormone that’s critical for transporting blood sugar, digested from the food we eat, into our energy-hungry organs and tissues. They lack insulin because the insulin-producing beta cells in the pancreas have been attacked and killed off by the body’s own immune system. 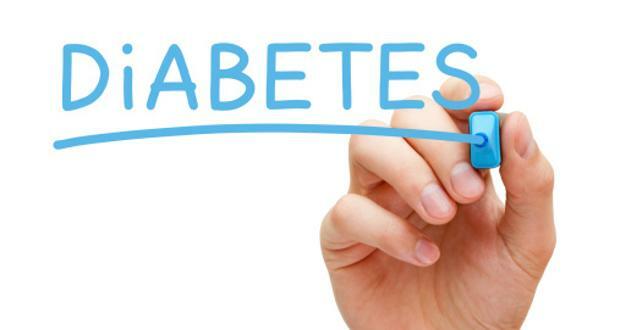 Without insulin, blood sugar levels go through the roof and over time that build up can cause vision loss, kidney disease, nerve damage, heart disease and the list goes on. “It’s a 24-hour a day job, 7 days a week you never get a day off. I would give anything for a day off. Just to not have to think about it. Besides all the things you have to do for your work and your family and everything, you have to be constantly thinking: “What’s my blood sugar? What have I eaten? Have I exercised too much or too little? How much insulin should I take based on the exercise I just did? Gee by the way is my insulin pump running out of insulin? The WSJ article points out that a pancreas or beta cell transplant, received from a deceased donor, is currently the best option for long-term treatment of type 1 diabetes. But there are big drawbacks and limitations to this approach: the pancreas transplant requires major surgery, both require life-long immunosuppressing drugs that can cause serious infection and cancer and donor organs and cells are hard to come by. That’s where regenerative medicine technology comes into the picture. 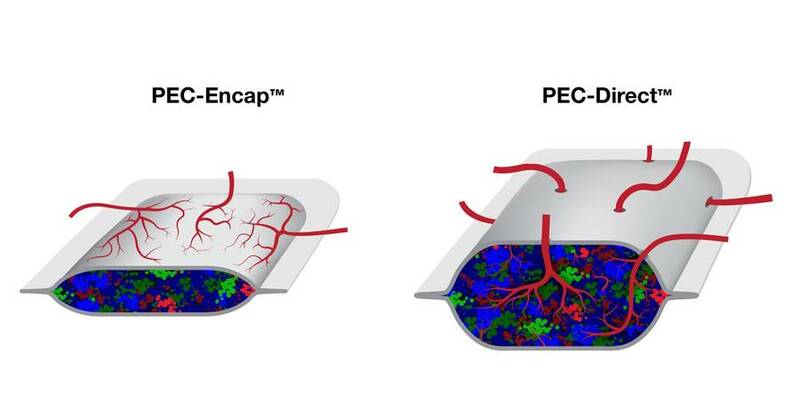 The article goes on to highlight ViaCyte’s therapeutic product, PEC-EncapTM which is composed of embryonic stem cell-derived insulin-producing beta cells that are encased by a capsule that is transplanted under the skin. The capsule has pores that allow blood glucose and insulin to flow freely but protects the cell product from destruction from the body’s immune cells. Because the cell product stems from, er, stem cells, there’s the potential of a limitless supply that doesn’t rely on cadavers. 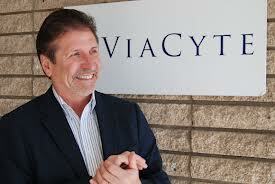 Indeed, since beginning the clinical trial in 2014, ViaCyte has encountered some speed bumps. 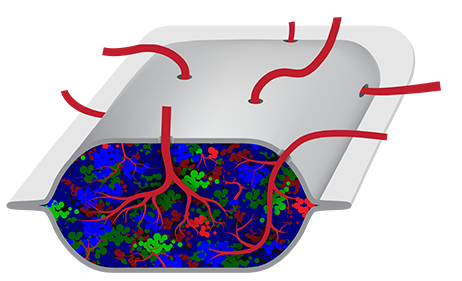 They had hoped that blood vessels growing around but not into the device would facilitate the transfer of blood sugar into the device where the beta cells would sense the level of sugar and release the appropriate amount of insulin. But it turns out that some cells of the immune system cells mucked up the blood vessel network. The company is working on improvements to the device to get the clinical trial back on track in the next 24 months. To jump start that effort they recently secured a partnership with the makers of Gore-Tex fabrics who also specialize in medical implantable devices. That collaboration is also motivating a next generation device called PEC-DirectTM which contains larger pores that would allow direct interaction between the body’s blood vessels and the beta cells inside the device. Because of the larger openings, immune cells could infiltrate the device and so immunosuppressive drugs would be needed in this case. But for patients with severe type 1 diabetes, this approach would be a more available treatment source compared to cadaver cells or organs. The WSJ article also discusses the CIRM-funded Caladrius clinical trial that takes quite a different approach to treating type 1 diabetes. The company is trying to disarm the T cells that attack the body’s own pancreatic beta cells. Because diabetics don’t lose all their beta cells at once, this approach could help maintain the insulin-producing cells that are still intact. The company’s strategy is to reprogram these attacking T-cells to convert them into so-called regulatory T-cells that act as a natural inhibitor of the immune response.